Unless you purchased your home brand new from a developer, sooner or later you will encounter the problem of corrosion in your pipes. Water and gas pipes in older homes tend to be made out of galvanized metal or iron. Sometimes these iron pipes are lined with zinc. Over time, these pipes can corrode from the inside. Such corrosion grows inward toward the center of the pipe, constricting its flow and thus reducing the pressure in the pipe. 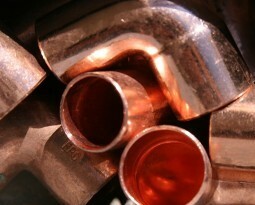 A home or business owner can detect corrosion in a tap water line by tasting rust in the water. Rust or sediment in the pipe can also break free and travel down the line, clogging faucets and water-dependent appliances. If the owner of an appliance fails to realize that its poor performance is a direct result of corrosion in his pipes, then he may end up replacing the appliance, without actually fixing the problem. Cleaning out an appliance or faucet is no small matter either. But even if everything is running smoothly, drinking and cooking with rust-flavored water is not pleasant. Corroded pipes also can form leaks. In such case, the only solution is to replace the pipe. Fortunately, hiring the right professional to address the leak can lead to a proper diagnosis: a trained professional will tell you about the corrosion problem and let you know you need new pipes. You may also discover a need for new pipes if you experience a fire or earthquake. If your home or office has plastic PVC or PEX pipe, they may crack or break during an earthquake, thus prompting replacement. In the case of a fire, heat may cause the lining of certain kinds of plastic pipe to leech deadly chemicals into the water supply. If a fire occurs, you will definitely want to hire a professional who has the ability and experience to examine the integrity of your pipes to determine whether they need to be replaced. Plastic pipes can also accumulate unhealthy bacteria more easily than metal pipes. Knights has repiped thousands of homes and businesses in Orange County. Because of our years of service, many prominent developers choose us to install pipes in newly built homes, because they know we will do a professional job. We quote a flat rate, and stay on task until the project is complete. 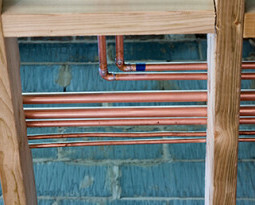 Hiring a company that specializes in installing new pipes is critical if you want to save time and money. A specialist will charge you less, because they don’t have to tear up your house. They take less time, because they know the least invasive methods for getting new, fitted pipes into the spaces where your old pipes used to be. A specialist will use the very best materials, sparing no expense, because they know that the last thing you want is to have to call them to do the same job a second time. 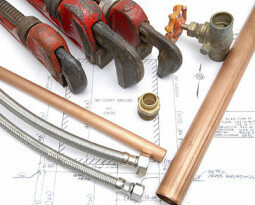 Knights Plumbing specializes in replacing pipes of all kinds. We use the very best materials; we favor an industry standard copper that is meant to last for as long as you own your home. But if your building or project requires a different material, we are more than willing to work with whatever materials you prefer. We will quote you a flat rate for our services, and we finish very quickly. Often, we will finish an entire home in a single day. Metal gas pipes corrode just like water pipes do. When they do, the flow of gas through the pipe becomes reduced, and the appliance that depends on a steady flow of gas begins to operate with notably less efficiency. If the line corrodes enough, it may crack or form a leak. If your gas line begins to leak, you must address it immediately, because those in your home or office may be in serious danger. If you smell gas, or notice brown grass in the yard, or hear hissing pipes, then you need to get everyone out of the building and call a professional. DO NOT turn on any lights, or anything that requires electricity, or do anything that could create a spark or fire. Get your family or coworkers to safety, and let the professionals handle the problem. Knights Plumbing has handled gas leaks hundreds of times. Because we provide 24-hour emergency service, we will arrive at your home or office, turn off the gas, and find the location of the leak. Once your home or office is safe, we will find the leak and fix it. At that point, we will perform an inspection of your gas lines. If they are no longer functioning efficiently, we will let you know. As with water lines, Knights Plumbing installs new gas lines all the time, and has all of the best materials and equipment needed to do a professional job. We are the preferred choice for contractors for installing new lines, and have installed gas lines in countless new homes during construction. We work quickly and efficiently. If you feel that you may need to replace the gas lines in your home or place of business, call us, and we will send someone over to do an inspection. We will give you an honest assessment, and if you need new lines, we will provide a flat rate quote for the operation. Knights Plumbing is conveniently located in the heart of Orange County, CA. Our plumbing professionals are available 24 hours a day, and seven days a week. If you experience any kind of plumbing emergency, do not hesitate to call us. Our professionals are courteous, well-groomed, and respectful of your home or office. 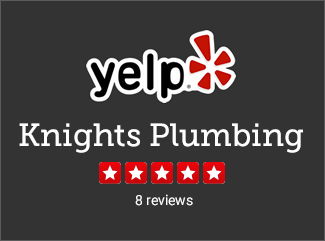 You can expect our best effort when repairing or replacing your gas or water pipes, and we stand behind our results with Knights Plumbing’s own guarantee of customer satisfaction. We are based out of Orange California and proudly serve greater Orange Country, CA. © 2015 Knights Plumbing. All Rights Reserved.